You may email an officer or craft director on their page. The Presidents email form is on the bottom of this list. Or you can hover over the name and the email address will appear in the bottom left corner of the website. Click Contract Update above to get report of Rank and File Advisory Committee. 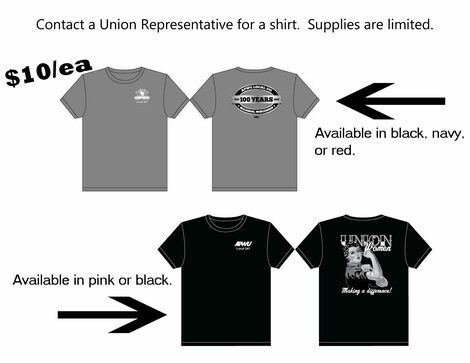 UNION T-SHIRTS - What a Bargain! Welcome to the MWAL website. Come back again! Welcome to the new website of the Madison Wisconsin Area Local 241, American Postal Workers Union. If there is anything not on this website that you'd like to see on the website, please send an email to the Editor with the subject line of MWAL WEBSITE SUGGESTION. Phones, including voicemails, are currently working.